The Schwalbe X-One Speed Performance tyre features a tread pattern designed specifically for 100% speed. Completing their series of cyclocross specific tyres the Speed Performance is the tyre perfect for dry hard-packed conditions when you’re racing or riding on mixed surfaces. 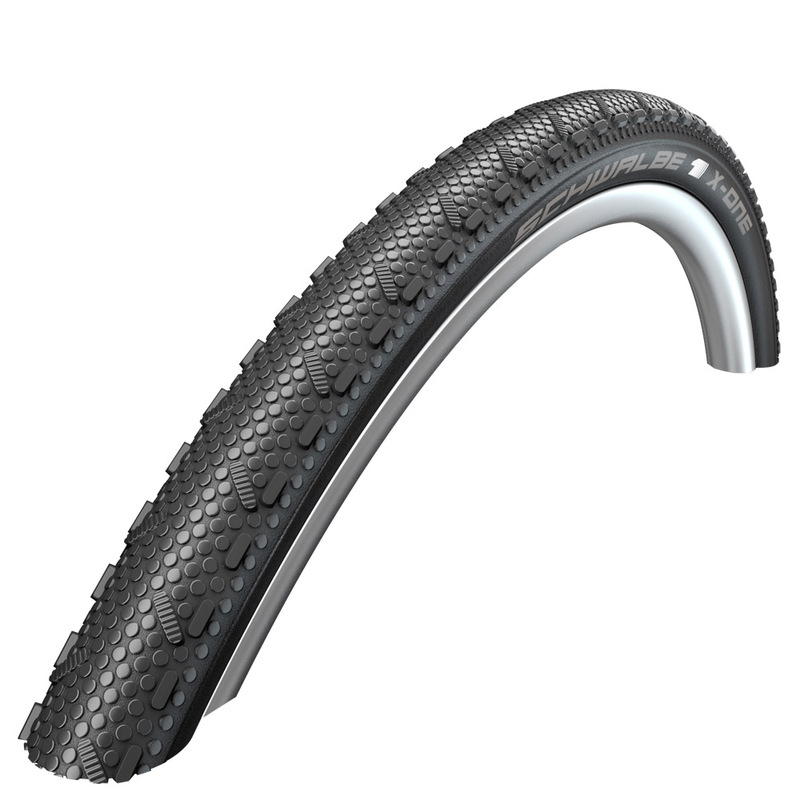 With a central channel featuring minimal flat round knobs to allow the tyre to roll fast combined with Schwalbe’s side knobs on the tyre edges to give enhanced grip on loose corners the Speed Performance tyre is ready to perform during summer cross races, in early season cyclocross racing or simply as a general all-round tyre on your gravel bike. Great tyre. Very light, rolling resistance is great. Nice Grip.